You know the old adage “United we stand divided we fall” well never before, as far as I can observe, has the church of Jesus Christ been so divided. There are denominations that specialise in water baptism and then name themselves by that particular emphasis, and by the way I am not criticising them for that just stating what is. There are others that emphasis the Pentecostal experience and make them selves known as such, there are others that become very social minded and promote themselves by that expression. Then there are doctrinal groups who form their identity around a particular interpretation of a scripture, others again focus their identity on fellowship rather than belief. Then we see groups developing and growing up with their focus on music, others on sport, then again others on business. In the mix come also the progressives whose focus is success, so they want constant motivation, whereas the more contented and passives, desire encouragement and wellbeing. This scrutiny has only covered a few variations, nearly every facet of human behaviour has a body of followers, who have made their emphasis a religion, some fanatical, some whimsical, some real, some surreal. It may be about health, it may be about physique, it may be about power or politics or predicting the future, or maybe searching the past and every group big or small holds it to be the most important of life’s choices for them. 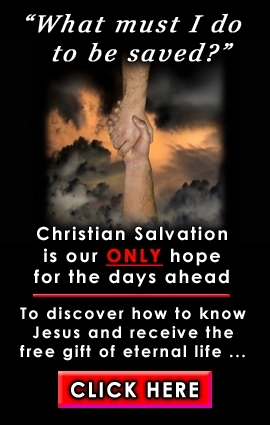 I have been preaching around the globe since the sixties and saw the “Jesus Revolution” followed by the global Charismatic renewal, which crossed nations and borders and swept the entire planet, touching Catholics and Protestants alike and impacted social groups like the Salvation Army and exclusives like the Brethren movement. Churches and groups began to be birthed out of these visitations everywhere, but at the outset, they were pure in motive with no personal agendas, they were open to all and sundry, embracing young and old, rich and poor saint and sinner. After a decade or two things began to change, slowly at first, rapidly, following that and the end result was anything but good. From my observation it became divisive, segregated, self centred and very opinionated judgemental, with a great deal of self righteousness and protectionism associated with it. The initial move of God created an incredible God centred consciousness, a love for the Word of God the Bible, cries for much corporate heartfelt prayer gatherings, a great passion for souls and for truth, and above all, a desire for honesty and purity of living, best categorised as sanctification or holy living. Yet, here we are one generation or forty odd years on and everything has entirely changed. The move has definitely degenerated into a self centred, self righteous, streamlined, upbeat place where the world meets the church and both together entwine in a blend of religion, entertainment and fleshly hype, devoid of all the former depths of what was once called church. All it took was forty years, one generation to transform itself into something most of the former adherents would now say, has no likeness to the original and provides no sense of reality, to those of the former spiritual encounters. The modern contemporary church has, like the chameleon, changed both its shape and colour and taken on itself the likeness of its environment and background so that it is very difficult to tell the world and church apart, or define the lines of separation between them. Fellowship was once an experience where ones could come and find deep friendships with God and man and be gathered up by a body of people who would support and defend you, irrespective of who you were. Now fellowship is defined as a place where youth can be assembled, in a blacked out hall and hide in obscurity, where nothing private is exposed and nothing is demanded of them, other than their bodily presence and hopefully a monetary offering of appreciation to continue this farce. Whereas once the congregation was encouraged to meet together without time constraints, to share their experiences as well as their possessions, today they are encouraged to keep the time to a certain agreed limit, so as to get them in and out as quick as practicable so they can get the next group in, to repeat the process. Relational Christianity has been replaced by organisational or institutional Christianity, contemporary rationalism has replaced historic biblical fundamentalism and entertainment and emotionalism has now replaced true worship and doctrinal submission. Individual opinions on all forms of choice regarding lifestyle, has replaced godly living, repentance and obedience. The sad reality of all this change is calculated in the lack of influence and respect the church now engenders in society itself, that in itself speaks volumes as we have lost our voice and effectiveness. The churches opinion today is not even considered valid any more and worse it is being scorned and laughed at as irrelevant. Image and perception is more important to the modern church than love and compassion, music has replaced the priority of the preaching of the word. Discipleship is now a banned word, as it carries with it the connotation of discipline, which is contrary to our modern view of entitlement. Teaching, likewise is for a bygone era, as it just stifles the creative and encourages conformity to set of preordained rules. I have come to realise exactly what Jesus meant when he told the parable of a man who established a vineyard and then built a watchtower within it and then put in a winepress and the last thing he did before he left, was to build a fence around it. It was to segregate and isolate it, not for his own benefit but because he new he was leaving it to another, so he needed to define ownership and property boundaries, as contention is always generated by those who manage it, but never contributed to its creation. So Jesus explained how the pioneer owner, left it in the care of a second generation or group who had no personal input in the original establishing of its vision. They only want the financial rewards and benefits (all care but no responsibility) but will not carry any liability if anything goes wrong, or requires effort and hard labour from them to correct it. Isn’t that just like this generation of youngsters that want the wealth of inheritance, but without any sacrifice on their part. Jesus said these hired managers actually stopped paying rent or hire for the vineyard, so the owner sent his servants who were beaten and thrown out, so he then sent his own son whom they denied legal access and then put him to death. Jesus is telling his own future story and testimony before it happened, but the message is loud and clear, the first generation are the visionaries and pioneer builders, then come the second generation the settlers and beneficiaries of the former pioneers vision, who want to cruise on another’s sweat blood and tears, but who have never suffered hardship of any sort in its construction. These ones have no concept of cost or sacrifice, but only of blessing and reward and they have been taught to expect it, just like our modern church, with all its extremist books and doco’s, on how to be rich and famous without any hardship. It’s the pioneer who clears the land and tills it, who puts up the fences and plants the crops etc, the settler or manager, just takes over what is already established and reaps the benefits. So the second group or generation see no reason why they should have to put in their hard labour to maintain it as it is not their responsibility so they even resent paying rent and land hire and try everything they can to minimise their outgoings in order to increase their incomings. Just like our modern capitalistic welfare state society. The succeeding generation enjoys the comfort and simply cruises on the efforts of the foregoing pioneers. Beneficiaries will contest written wills, compromise the conditions and agreements of business contracts even violate legal clauses by trying to change the intent of what was actually written. They will seek ambiguity in certain words to extricate themselves from former covenants simply to gain further personal advantage. They will even go so far as to falsify documents and agreements in order to sidestep future financial liabilities that can be used in suits against them. Is that not what has happened in our modern churches, where a so called Christian or church going mans word is no longer worth anything. Even a written oath he signs, needs an army of lawyers to draft it to make it foolproof, as integrity and morality is no longer considered a character asset but a character deficiency today. A generation by the way is forty years and in the bible it shows us this picture perfect story, where the children of Israel would not listen to God who had said to Moses, the pioneer, THE LAND IS YOURS MOSES GO IN AND POSSESS IT! In their own way the Israelites told God, He did not know what he was talking about: Therefore they refused to go in and take the land, God said had been given to as an inheritance and remember an inheritance is something left to you by another not something you have to work for and pioneer. They however did not want to suffer any loss or harm or expend their own energy, after all it is an inheritance, so God swore an oath against them saying, this generation is an unthankful and ungrateful one so they will not enter in and obtain the benefits of my provision, but another generation will. I hear crazy ignorant preachers today saying, a younger Joshua generation went in and possessed it, so in our day it is going to be the youth who will take the land and win the world with their modern, more contemporary message not the old outdated methods. To which I quickly respond, Joshua was eighty years old and was part of the second generation of settlers and beneficiaries but he and Caleb had a different spirit than the others, when he went into the promised land. The third generation from Moses were the ones who finally took the land, not the second, who constantly murmured and complained. The third generation were younger but led by elder men of wisdom and maturity seasoned strategists and fighters, not younger ambitious and self centred egotistical men by any stretch of the imagination. God’s men and his methods may change, but his message will never change “He is the same yesterday today and forever” his word will never change. Repentance, contrition, submission, restitution and holiness, sanctification, judgement, damnation, hellfire, these are just some of the immovable doctrinal steps on the stairway to life eternal.